ALBANY — The Niagara Frontier Transportation Authority is in line for a $100 million state aid boost over the next five years to use for major infrastructure improvements on its deteriorating Metro Rail system. The agreement came Saturday evening between Gov. Andrew M. Cuomo and the state Legislature, according to information obtained by The Buffalo News. It is not expected to be approved in the 2019 state budget lawmakers are rushing to try to wrap up on Sunday, but officials said they expect a final statewide capital plan — including the NFTA funding — to be approved in this legislative session. 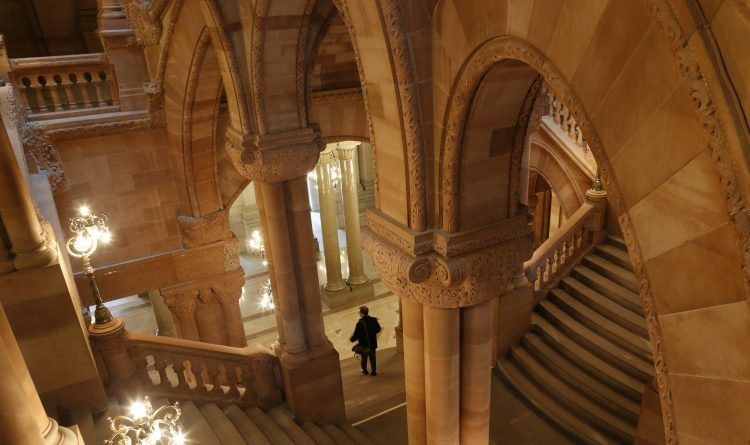 The light rail funding was among an array of deals getting final approval Saturday at the Capitol as lawmakers rushed to get a 2019 state budget in place, including an end to the cash bail system for most individuals arrested in New York. A push to enact taxpayer-financed elections will end with a study commission that will issue a binding report by December 1 on how such a system might work. Besides the $100 million in state money solely dedicated for the capital needs of the NFTA’s Metro Rail, the deal also includes $6 million for an engineering study to expand the 6.4-mile rail line to the University at Buffalo’s North Campus. “This critical funding will upgrade this system into a 21st century railway that New Yorkers deserve, helping to grow the local economy and helping to ensure this remains a region on the move,’’ Cuomo said in a statement Saturday night. The deal was pushed heavily behind the scenes by Senator Tim Kennedy, a Buffalo Democrat, who was able to employ influence in budget talks this year after Democrats took control of the Senate in January and he was appointed as the Senate's transportation committee chairman. “We made it a priority, especially with the downstate investments of historic proportions, that we are making historic investments in Buffalo and Western New York as well. This is something that I committed to not coming home without,’’ Kennedy said of the $100 million capital deal. Kennedy said the light rail system has “suffered from years of disinvestment” that has reduced on-time performance and frequency of service, resulting in a decrease in ridership. The $6 million in funding for the Metro Rail expansion project — estimated to cost $1.7 billion, if undertaken — will kick in an 80 percent federal match. The new state funding for the NFTA was really made possible — politically — as a kind of what-about-us push from some of the region’s lawmakers, as they looked at a multibillion dollar funding program for New York City’s subway and downstate suburban rail systems. 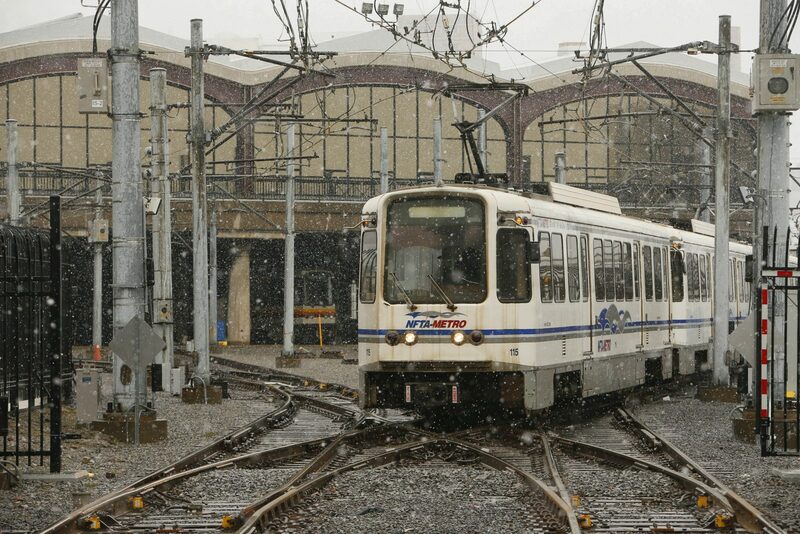 Western New York lawmakers, led by Kennedy and Buffalo Democrats Assembly Majority Leader Crystal Peoples-Stokes and Assemblyman Sean Ryan, pressed for the additional NFTA financing via a funding fairness argument for the deteriorating 35-year-old Metro Rail system. Ryan two years ago first proposed the $100 million dedicated funding plan for the NFTA. “We’re very pleased with the governor’s commitment to the NFTA,’’ Ryan said Saturday night. “It’s clear the system is in dire need of repair, and this will put them on a step towards that goal,’’ Ryan said. He added the $100 million is critical to the possible Metro Rail expansion effort because the federal government — a key component of the funding for that project — looks at how well rail systems are maintained when deciding whether to invest in such things as expanding rail line services. The funding ends a tradition over most years in which the NFTA had funding allotted like the other upstate transportation authorities, even though the NFTA is the sole public transportation agency outside New York City with a rail program in addition to its bus system. The agreement came a couple days after lawmakers and Cuomo tentatively agreed to a new 6 percent tax on car rentals upstate, with revenues going to help fund operating costs of the upstate transportation systems. That tax is expected to be in the final budget. The Metro Rail system will see the state funds go for track bed replacements, implementation of a fare collection system, upgrades to light rail trains, escalator rebuilding and new safety and video surveillance upgrades. Democrats who control the Senate and Assembly were briefed Saturday night on some of the final aspects of the budget. A number of major budget bills, promised to be made public days ago, were still not printed well into the night Saturday. That's partly because deals were still being ironed out and partly to keep various interest groups in the dark about details they would not like. The last major item: whether to start a statewide, taxpayer-financed system of providing matching funds for certain levels of donations to political campaigns. Proponents were outraged — via social media and calls to lawmakers' offices — when word spread that the final budget would not commence such a system now, but create a commission to study how such a system might work. Whatever the panel might recommend would not kick in until the 2022 elections. Critics of the idea said the state does not have the money to fund such a system, and that taxpayer money shouldn't be funding campaigns. • $620 million or so increase in Foundation Aid, which is the state funding pot that helps about 700 public school districts pay operating costs. When all funding pots are included, the state will spend about $28 billion on public schools this year. The precise district-by-district allotments won’t be made public until sometime Sunday. • A ban on single-use plastic bags with a companion 5-cent charge — optional if counties and cities want to impose it — on paper bags given out to consumers by retailers. The budget is expected to spend $20 million on outreach efforts to try to ensure the 2020 U.S. Census captures the state’s full population numbers — half of what immigrant rights, labor, religious and other groups said is needed. One of the details still to emerge: member items, or pork-barrel spending. They will include funding for senior centers or youth sports leagues or any assortment of programs. But, as longtime Capitol insiders noted, will there be actual funds behind those promises? Will a lawmaker’s news release that touts funding for this or that program actually result in money going from the state’s treasury in the next 12 months? That’s an unresolved question, especially in a state where the governor so heavily controls the system that decides when and where checks are cut for lawmakers’ pet projects. As is often the case, the Albany focus at the end of the budget talks is on a handful of issues. The 2019 go-around: It’s been about what rank-and-file lawmakers refer to, unaffectionately, as the marquee matters: taxpayer-financed elections, changes to criminal justice statutes, and a new toll for vehicles traveling into Manhattan that will raise billions over time to help pay for downstate transit needs. It also gives inflation rate-busting increases for programs like education, which will rise by an overall 3.7 percent this year compared with last year. Cuomo defended the budget against groups saying it shortchanges certain programs. A number of items were stripped out of budget talks because — like with new abortion rights, gun control efforts and expanding voting opportunities — they were accomplished by an eager Legislature in January. In other cases, some policy ideas were simply pushed aside to be dealt with — or not — later in the session, such as everything from efforts to OK online sports gambling to legalization of marijuana. That down-the-road period is June, the frenzied time when hundreds of bills a day can get rammed through the two houses as lawmakers look to end their 2019 session. Before they leave, though, they will face lobbyists who lost battles in the budget and will want to resurrect their issues before lawmakers head home for the year. There will be interests representing companies in industries from gambling and banking to energy and insurance. The electronic scooter industry, growing in some states, will try again to legalize the devices on New York’s roads and sidewalks.